God’s provision is so good, and so consistent, that too often we take it (and Him!) for granted. We have come to expect abundant food, electricity, air conditioning, indoor plumbing, good health, and leisure. We are shocked and chagrined when anything happens to disrupt our abundance. We strive and pray for things to “get back to normal” so that we can get back to enjoying the good life. I am guilty of focusing on all the things that aren’t right in my world. Rather than giving thanks for my abundance, I find myself obsessing over the many things that could be improved. While I do not want to become a Pollyanna, I do find that in the midst of my frustration with what I see wrong, scripture in Philipians 4:8 reminds me to think on the lovely and pure and praiseworthy. 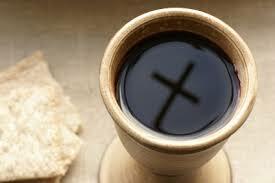 The Shepherd’s Psalm declares that “…He prepares a table before me…my cup overflows.” And yet, too often I forget. I forget that I am seated at The Lord’s Covenant Table as a member of His household. I forget that my life and my world are projects under construction, and that the finished product will only be apparent when He appears.